Halbouty Room 65 serves as the Computational Seismology Lab for the Department of Geology and Geophysics. The lab is currently used to teach graduate courses in Seismic Data Interpretation and Processing. With the use of internal funds, and key assistance from the College of Geosciences IT group and various Texas A&M services, the seismic lab was renovated in Summer 2016. The renovation included the purchasing of 16 new Dell T7810 dual monitor workstations, and reconfiguring of power, cooling, and networking. The new workstations are configured with a linux operating system, and connect to a network virtual server to run the newest Paradigm seismic software. 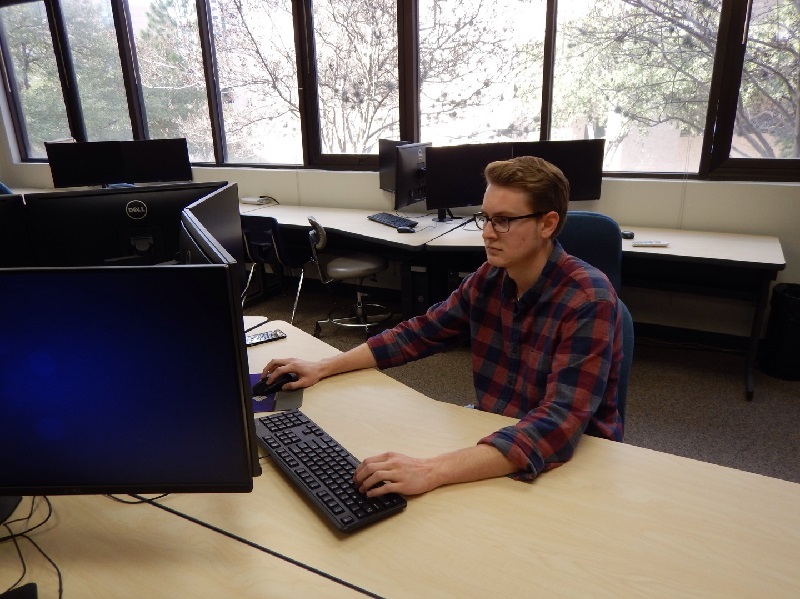 The department gave the new lab configuration a solid stress test in the Fall 2016 semester, with both Seismic Processing and Interpretation courses being taught in the lab. The department hopes to expand use of the lab to other courses and high demand software in the near future. The computers formerly in the Computational Seismology Lab are being moved upstairs to support research efforts in a student computing lab.